Did you know osteoporosis is a silent disease, sometimes going undetected for many years until a fracture occurs? Did you know there are now non-hormonal treatments that can slow bone loss and even increase bone mass? 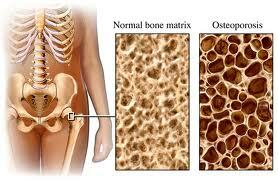 Did you know osteoporosis is the most common human metabolic bone disorder? Did you know fractures can result in a decreased survival rate? Did you know the risk factors for osteoporosis include: age, race, low calcium intake, vitamin D deficiency, immobility, smoking, excessive alcohol consumption, high caffeine consumption, high sodium intake, high protein intake, and certain drug therapies such as steroids?